If there’s one condiment I enjoy adding to my food, it’s mustard. 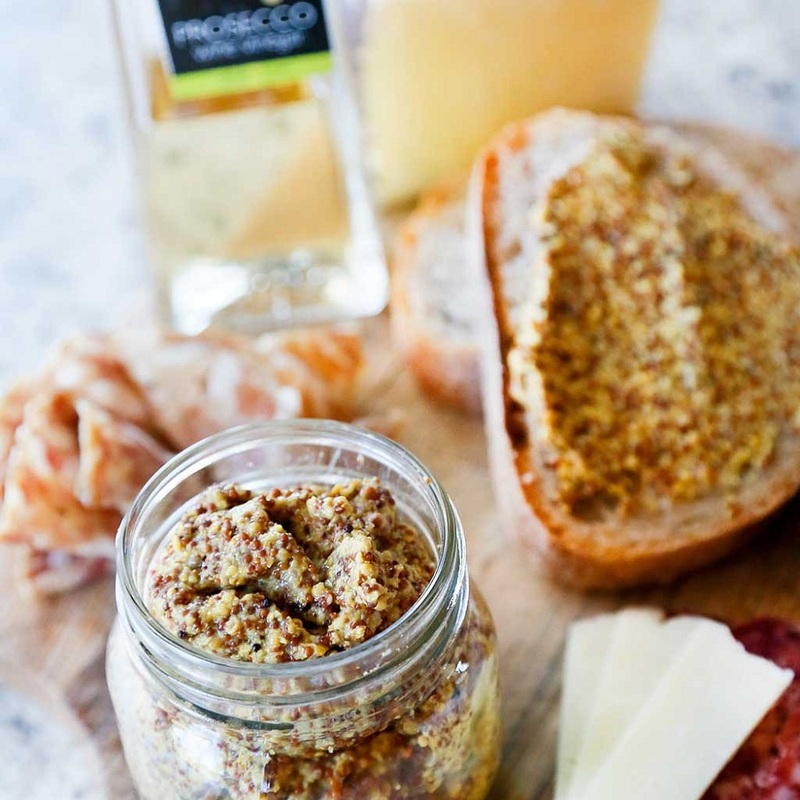 Unlike catsup, with its limited range of tomato flavors, mustard has a wide range of flavors that go on different meats, sandwiches, and other snacks and dishes. While a plain mustard condiment has a strong and slightly bitter flavor, mustard can be sweet, spicy, or even a tangy mixture of mixed with other spices and vegetables. More than just the flavor, though, mustard – especially whole grain mustard – is full of vitamins, minerals, and nutrients that can provide you with a load of health benefits. 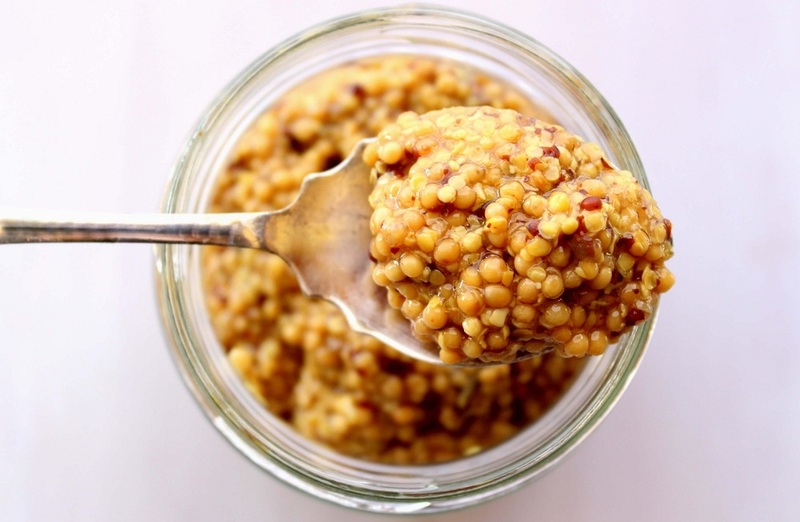 Interested to know how whole grain mustard can provide you with health benefits? Read more to find out. A 2005 study from Human & Experimental Toxicology talked about the effects of cervical cancer and mustard. The study found that mustard seeds had substances that could enhance your body’s antioxidants and prevent the damage caused by carcinogens. They found that people who had mustard seeds in their diet were less likely to develop a risk for cancer than the rest of the population that didn’t eat mustard seeds. Whole grain mustard processed into mustard oil contains omega-3 fatty acids and sodium, which could help with your cardiovascular health. A 1997 study published in Cardiovascular Drugs and Therapy found that mustard oil, just like fish oil, could protect patients with cardiovascular diseases and prevent heart attacks. Mustard is rich in copper and iron, minerals necessary to regulate blood flow and produce hemoglobin, which transfers oxygen from your lungs to the rest of the body. One tablespoon of whole grain mustard carries around six percent of the daily recommended value for iron. This is important for people who have low red blood cell count or symptoms of anemia. Mustard is also rich in selenium and calcium. Both can strengthen bones and teeth, as well as your hair and nails. It’s also an antioxidant which removes free radicals. In fact, four tablespoons of mustard a day can fill your daily recommended dose of selenium. Mustard contains high amounts of magnesium, a mineral used as a sleeping aid for people having trouble getting a good night’s sleep, have insomnia, or are light sleepers. Magnesium also helps lower your blood pressure and regulate metabolism, other possible causes that lead to poor sleep quality. If sleeping pills are too strong for you or if you want to naturally improve your sleep without pills, add mustard and other magnesium-filled food to your diet. Selenium and magnesium both have anti-inflammatory effects to allergies, decreasing the severity of asthma and other anti-inflammatory effects of irritants and allergens. Like all foods, eating moderate amounts is healthy and OK. However, eating too much in an attempt to cram your body with its nutrients may be harmful to your health. For example, doctors recommend staying hydrated and drinking at least eight glasses of water a day. Drinking more than the recommended amount is fine if you’re doing activities that make you dehydrated faster than normal. But drink too much water and you may die from water intoxication or hyponatremia. The same applies to eating too much mustard. Eating a healthy amount of mustard can help provide you with some of these benefits, but in the long run and in large amounts, its contents may start to be bad for your health. Some people have mustard allergies and refuse to touch the condiment. However, there are some people with mild allergies who don’t realize they have it because mustard is diluted by the other ingredients such as vinegar, wine, salt, and other spices. Eating too much mustard, however, can leave plenty of mustard irritants along the lining of your esophagus, causing asphyxia (the same way people with peanut allergies react). By “too much,” this reaction would mean about several pounds of pure mustard. And that is assuming you can withstand the acidity of consuming too much vinegar from the mustard. Mustard products are also high in sodium. Enough sodium in your body can help with muscle contractions, blood pressure, and absorbing nutrients in the digestive system. Too much sodium, however, can affect your cardiovascular system negatively, resulting in heart-related diseases. Mustard also has phosphorus, which helps in filtering the waste in your kidneys and repairing broken tissues and cells. In fact, it’s the second most plentiful mineral in your body after calcium. However, too much phosphorus in your body can lead to diarrhea, hardening of organs and tissue, and cause mineral deposits to form in your muscles. Mustard is also rich in calcium and magnesium. Too much calcium can cause constipation, cognitive interference, and excessive thirst. While calcium does strengthen bones, too much calcium can lead to weak bones as your bones tend to release calcium when hyper saturated. Too much magnesium, on the other hand, can lead to cardiovascular problems. It’s important to note that the effects of these excessive minerals won’t happen with mustard alone (unless you’re planning to eat a whole vat of mustard). However, given that mustard is a condiment and spice used in other dishes and snacks, the nutrients in that dish may also contribute to the excess minerals in your body. Whole grain mustard provides many health benefits. However, that isn’t an excuse to add excessive amounts of mustard into your diet. Take it in moderations and eat balanced meals paired with regular exercise to achieve a healthier body.